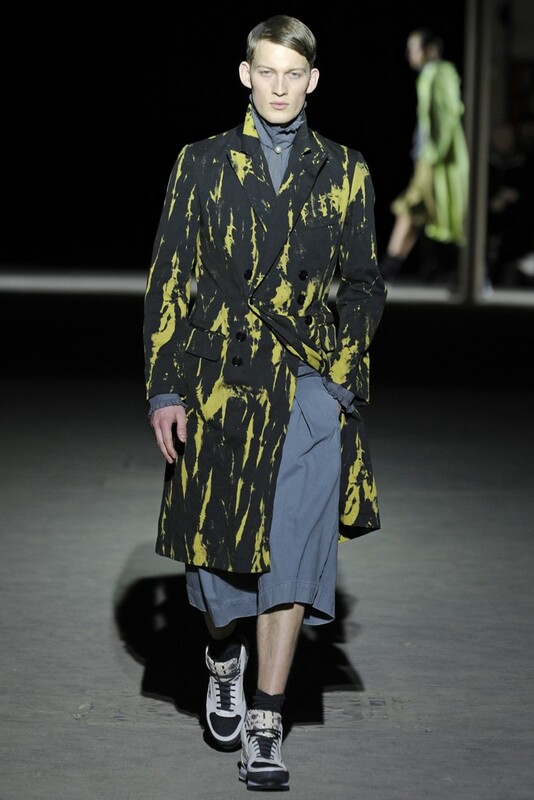 As I mentioned yesterday one of the shows that I was really looking forward to was the Dries Van Noten show and I was certainly not disappointed! 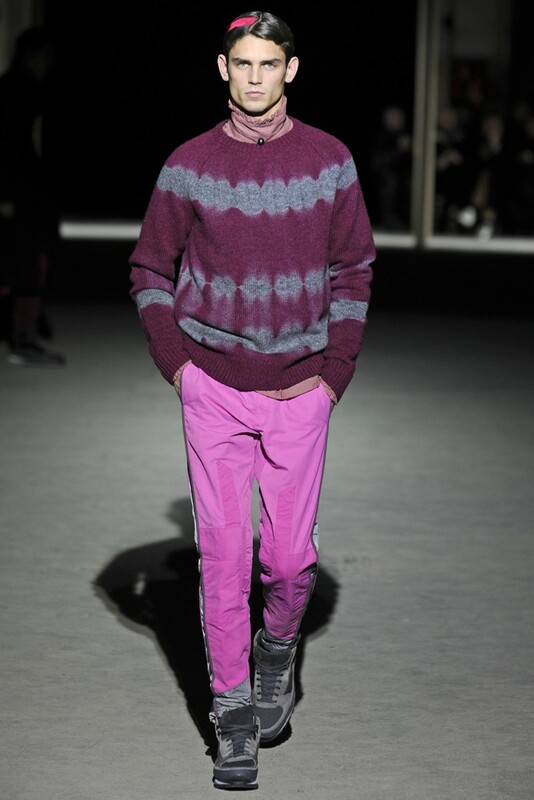 He once again took it all the way with his strong use of colour and form. 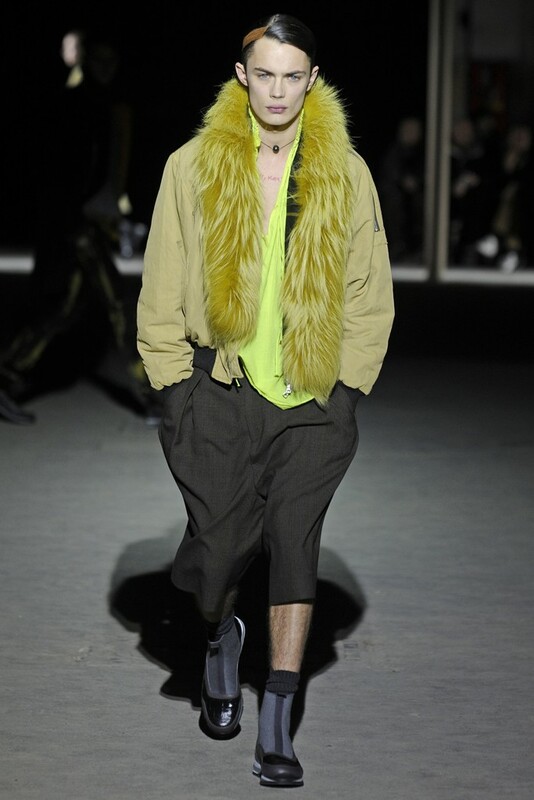 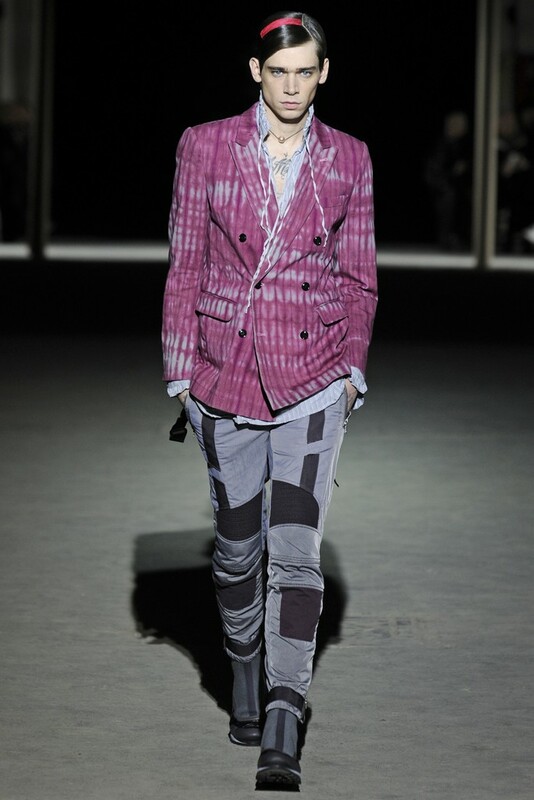 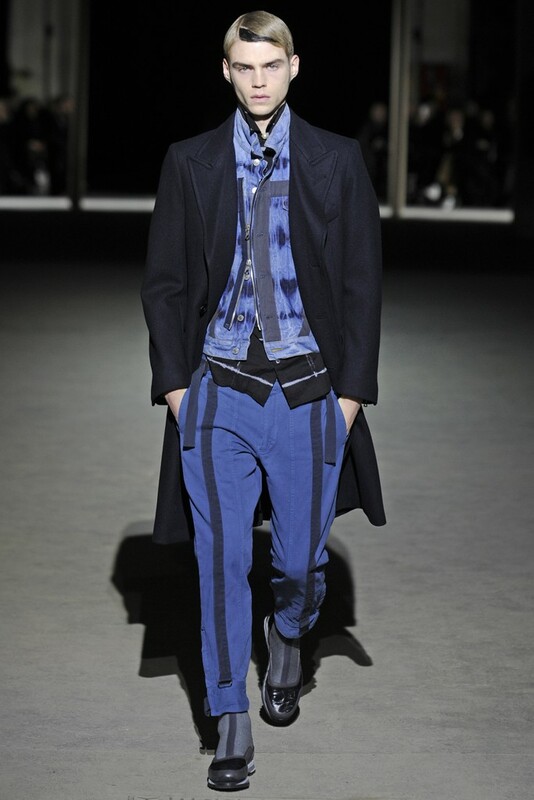 It seems that an emerging trend from Paris this week has been an increase in the level of street wear making it onto the catwalk for men and the number of designers who showed collections that you could take straight from the catwalk and confidently wear in your day-to-day life. 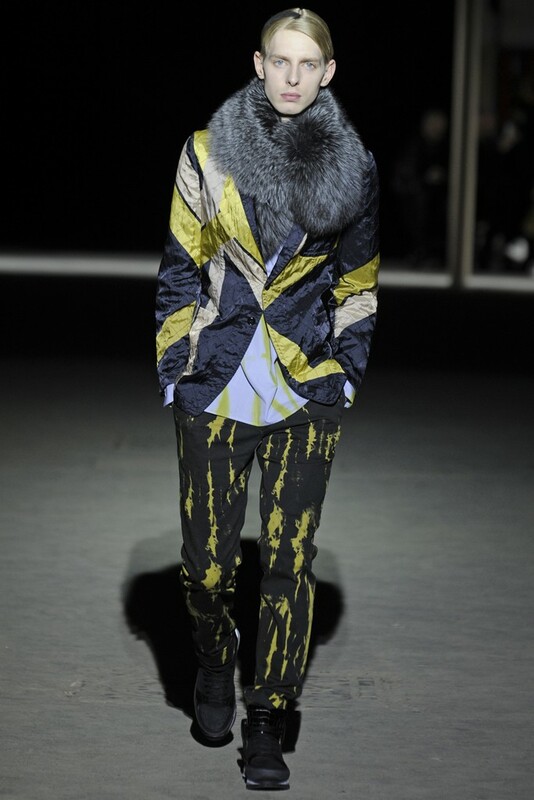 Dries Van Noten www.driesvannoten.com is another designer that marches to his own drum and brings a very individual design aesthetic to each collection that he does and once again he did not disappoint. 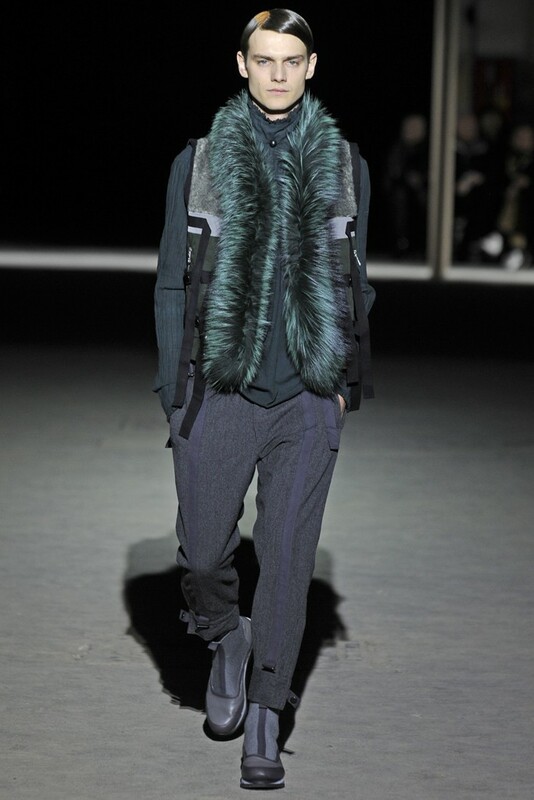 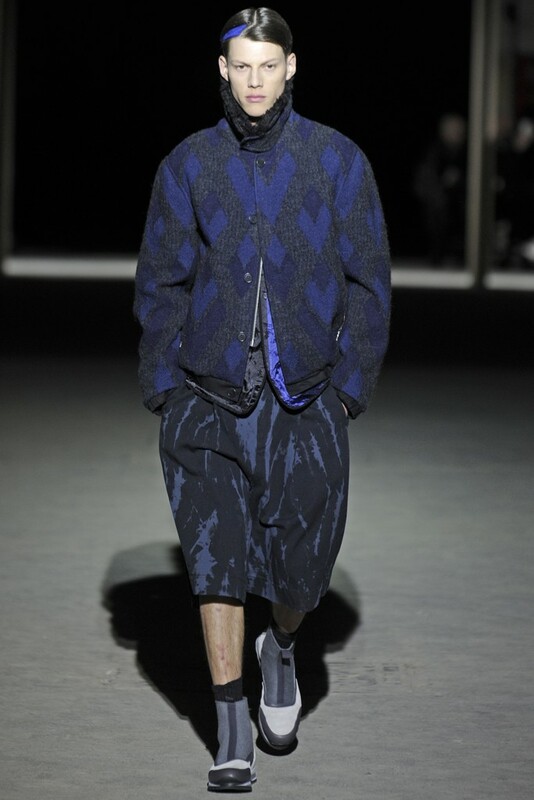 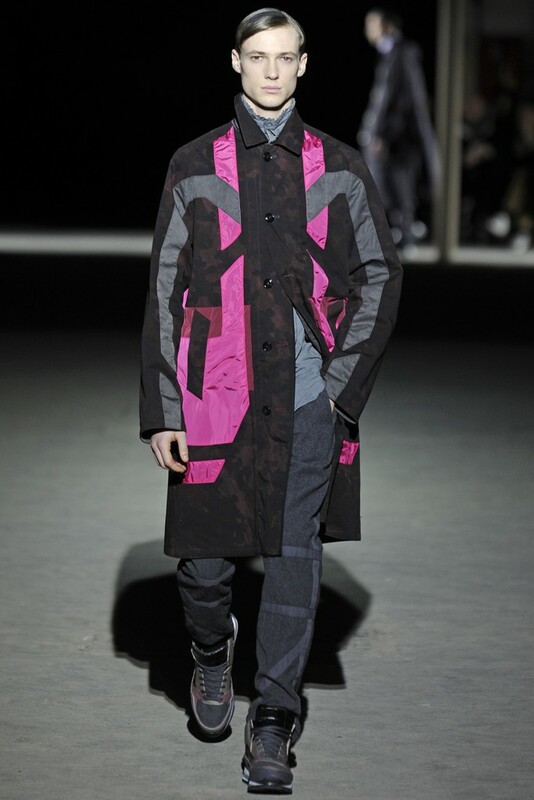 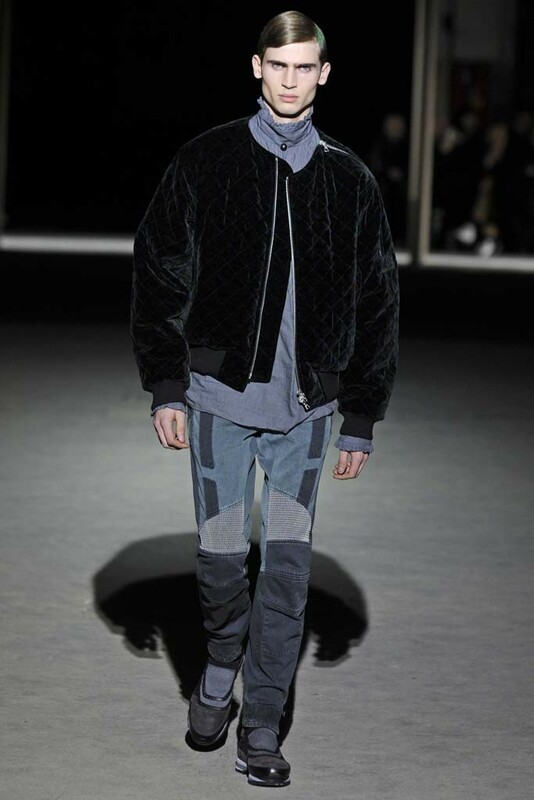 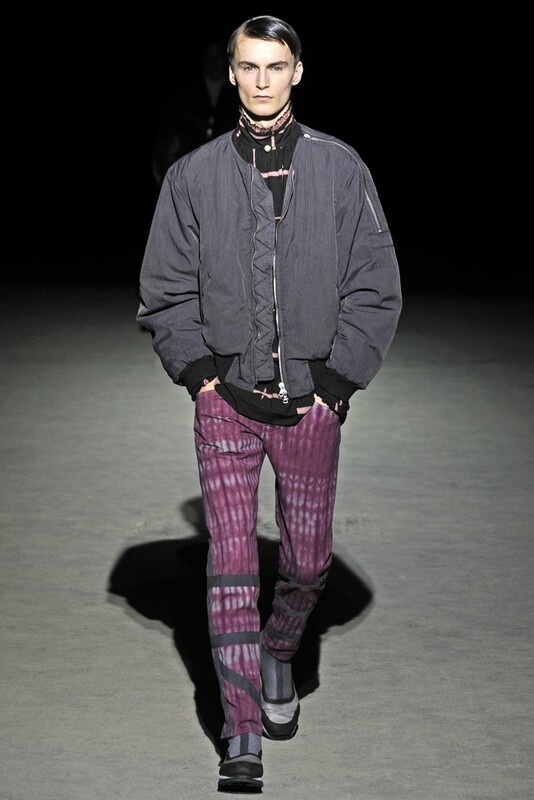 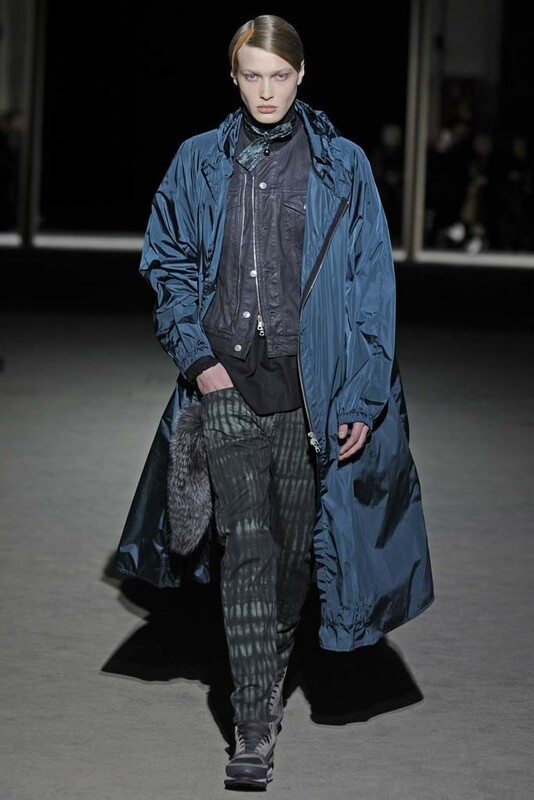 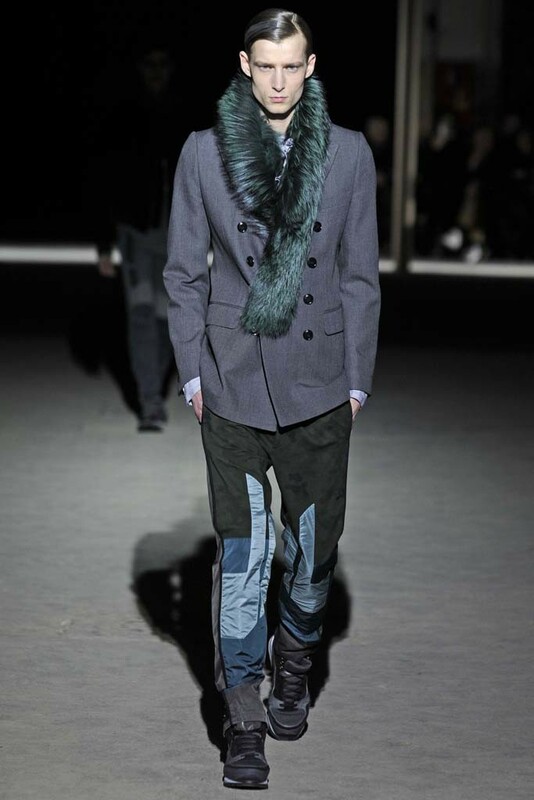 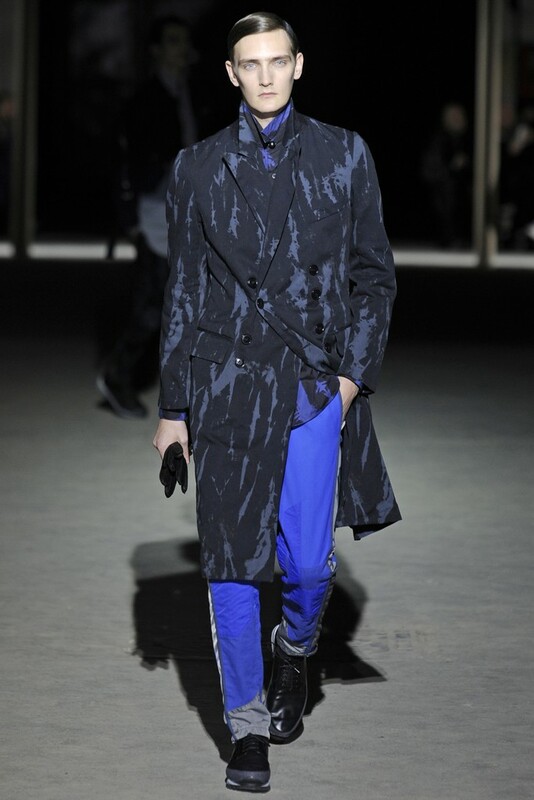 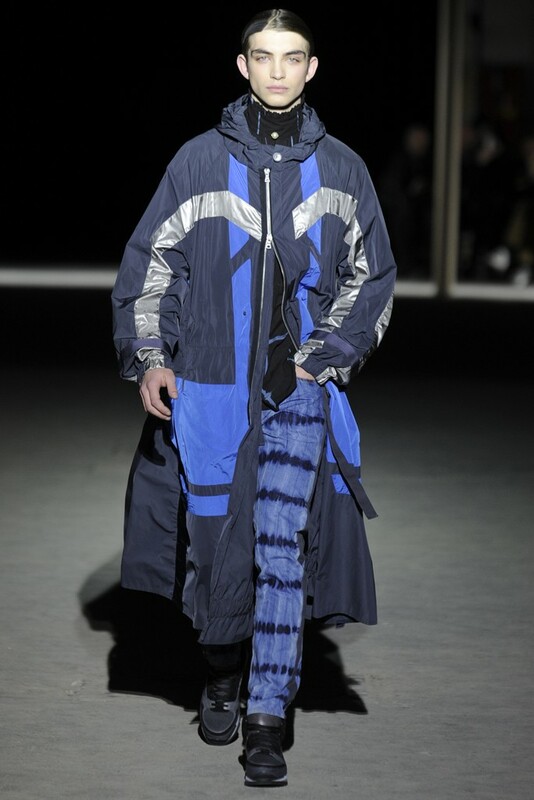 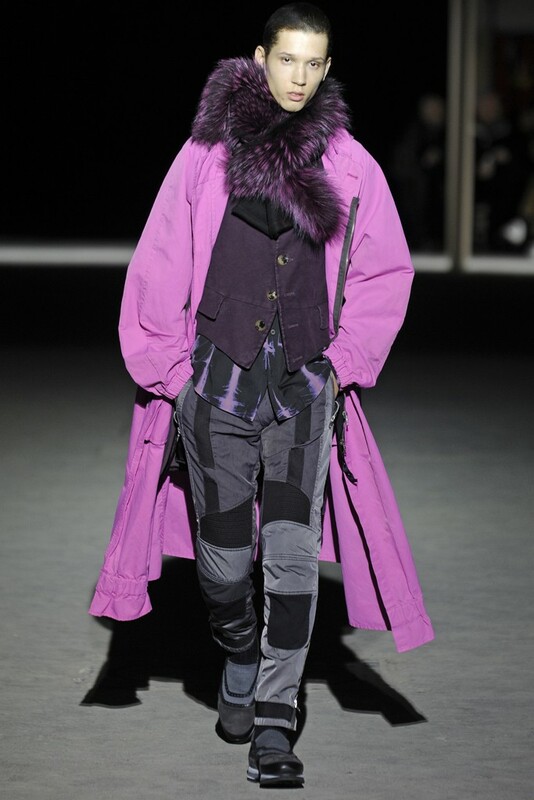 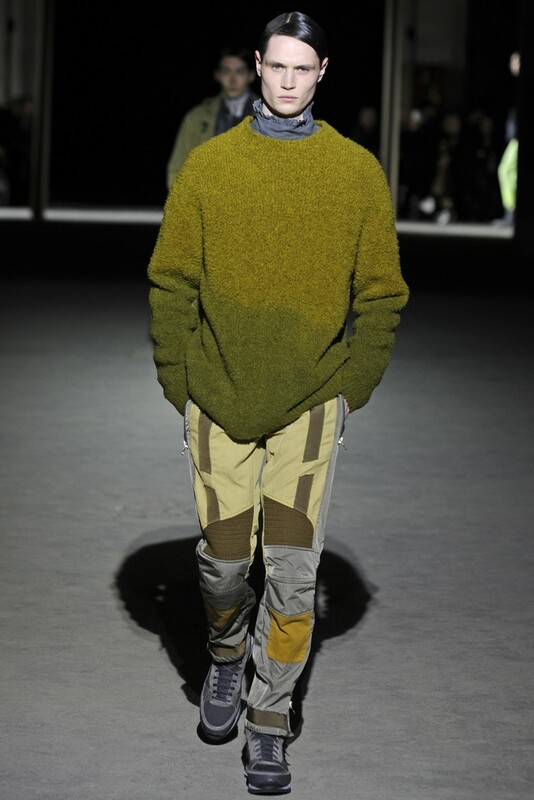 This was an oversized collection from the jackets, parkas, aviator pants, large flowing wool shorts and overcoats that blended autumnal greys and blacks with clever splashes of colour hues that gave each look a distinct edge. 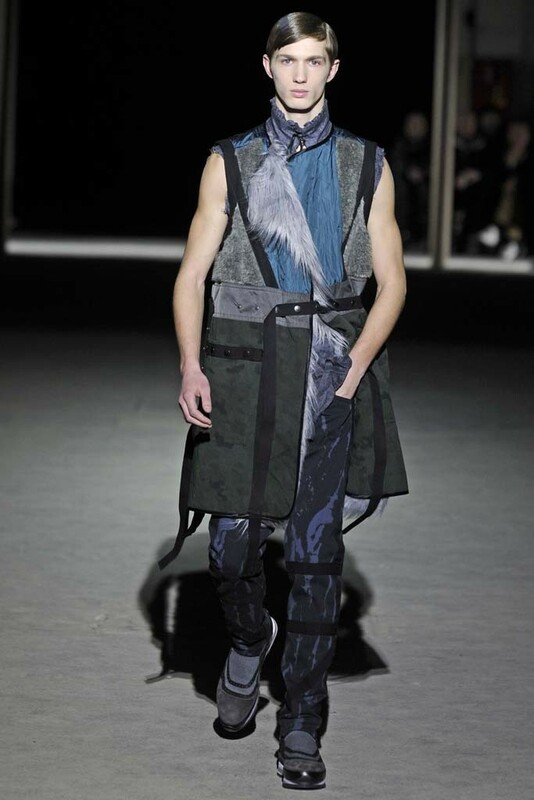 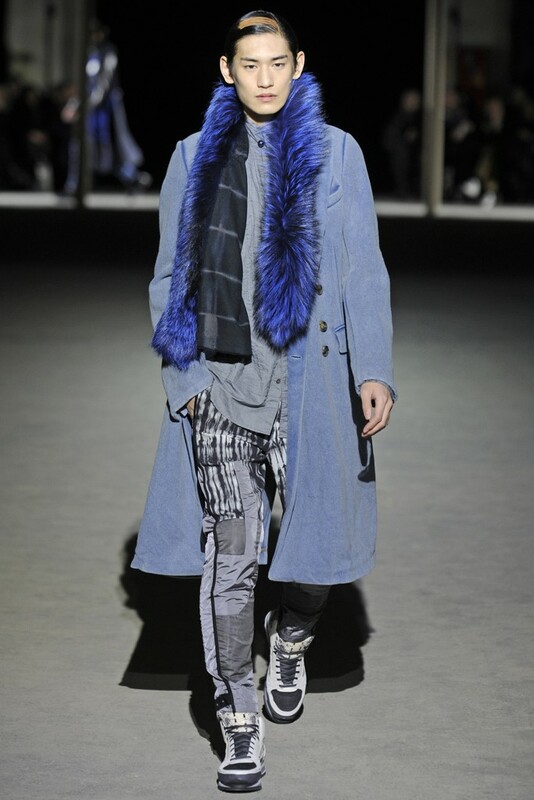 Added to this were the fur scarfs and the exquisite technical sneakers that added to the feeling that there was a lot to see here with each look. 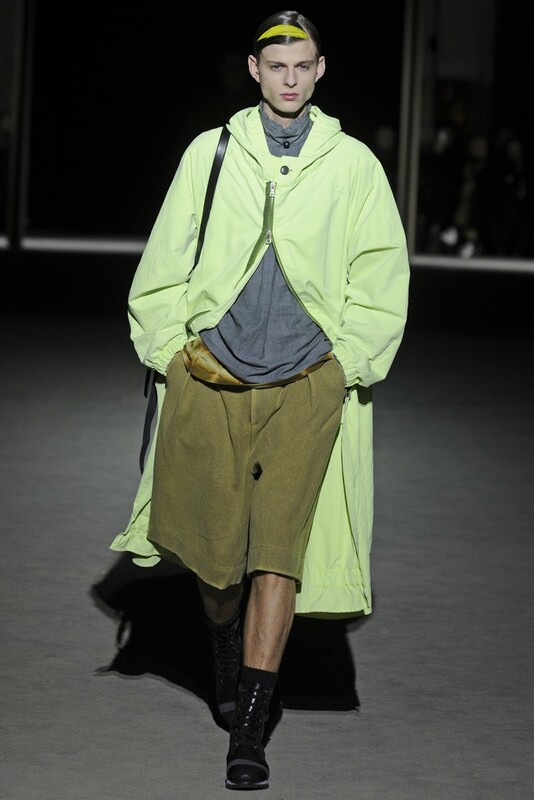 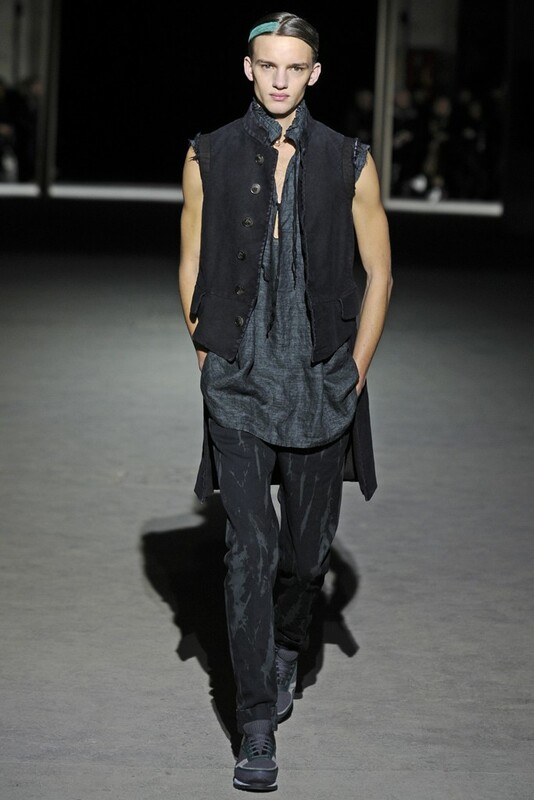 It is the designer’s ability as a colourist that enabled him to corral these elements together to create outfits that really spoke to anyone looking for a collection that is cooler than cool and pushes the boundaries when compared to many of the other shows of the past couple of days in Paris. 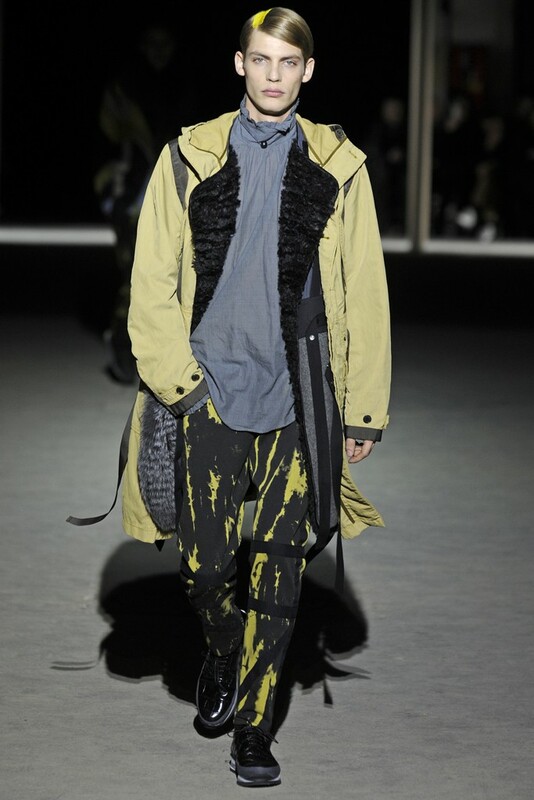 Each section had a distinct colour story going along with the more muted autumn/winter hugs of charcoal, grey and black with yellows, greens, pinks and blues accentuating patterns and looks along with matching strips on each models hair to complete the overall presentation. 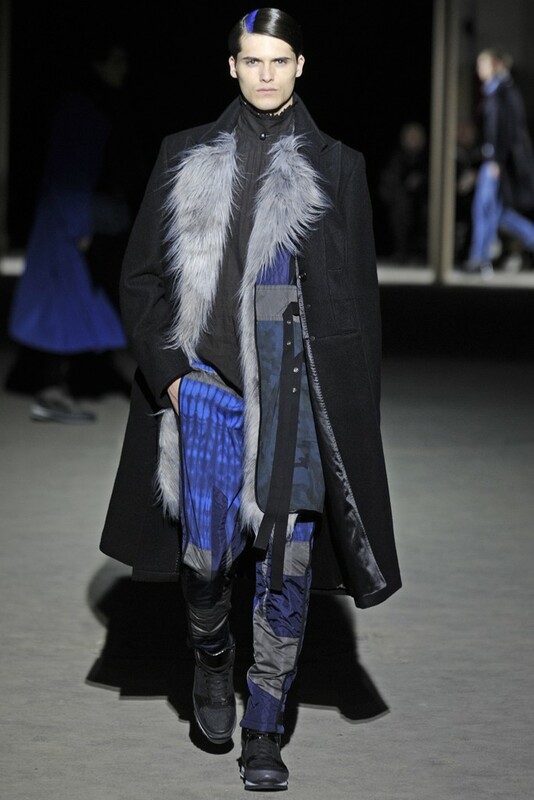 This was a fast paced show with over 50 looks presented. 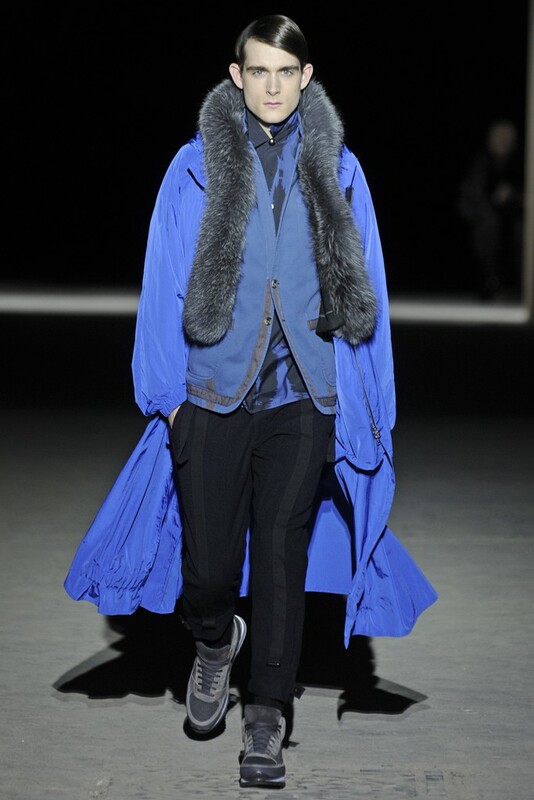 This was an inspired range with many oversized pieces that I would wear straight away and as I love the oversized and flowing, especially in the cooler months this collection really spoke to me!